Blavatnik Fellowship in Life Science Entrepreneurship is led by Peter Barrett and provides a select group of alumni with the opportunity to work with Harvard inventors to promote the commercialization of life science technologies with significant market potential. 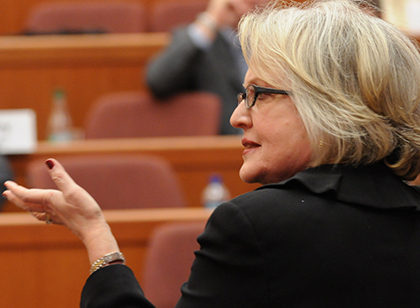 GENiE, the Global Educators Network for Health Care Innovation and Entrepreneurship group, was spearheaded by Regina Herzlinger and includes more than 140 academic members with the goal of making innovation a central part of the education of future leaders in health care. 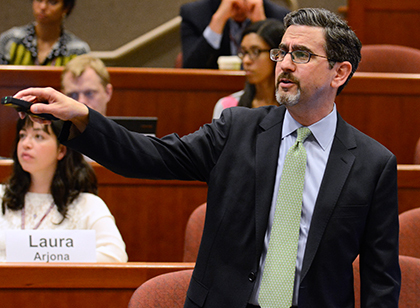 HBS-HMS Forum on Health Care Innovation is led by Robert Huckman and hosts periodic events to bring together thought leaders from across the health care industry to identify ways to overcome barriers to innovation in health care. Institute for Strategy & Competitiveness (ISC) was founded by Michael Porter at HBS and health care is one of the ISC's core research areas. The Kraft Precision Medicine Accelerator (KPMA) is led by Kathy Giusti and Richard Hamermesh who are working with health care leaders to develop a business framework that encourages cancer organizations to align on shared goals and collaborate with one another.